Click (tap) to enlarge this 2017 NASA image of the US at night. Light pollution is stealing the night from all of us, and, despite the growing concern over our carbon footprint, we are still over-lighting our communities with inefficient and glaring light fixtures. This is an international problem. Once a source of wonder (and one-half of the entire planet’s natural environment), the star-filled nights of just a few years ago are vanishing in a yellow haze. 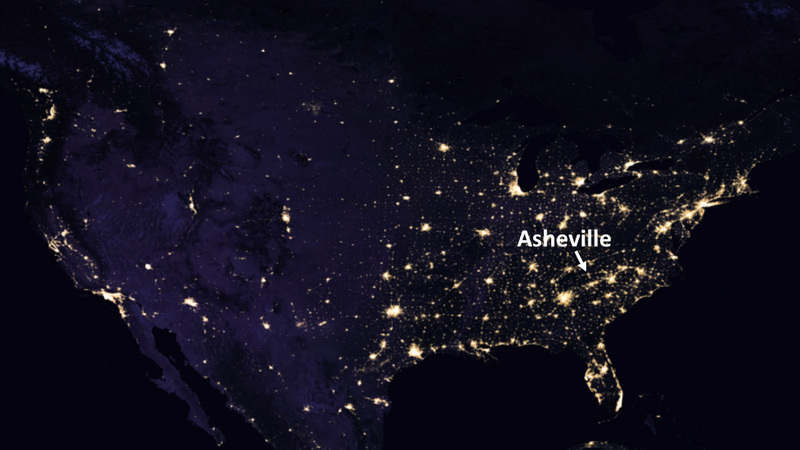 Human-produced light pollution mars our view of the stars, and poor lighting threatens astronomy, disrupts ecosystems, affects human circadian rhythms, creates unsafe glare and light trespass, and wastes energy to the tune of $2.2 billion per year in the U.S. alone. The International Dark-Sky Association is a non-profit that is a recognized authority on light pollution. 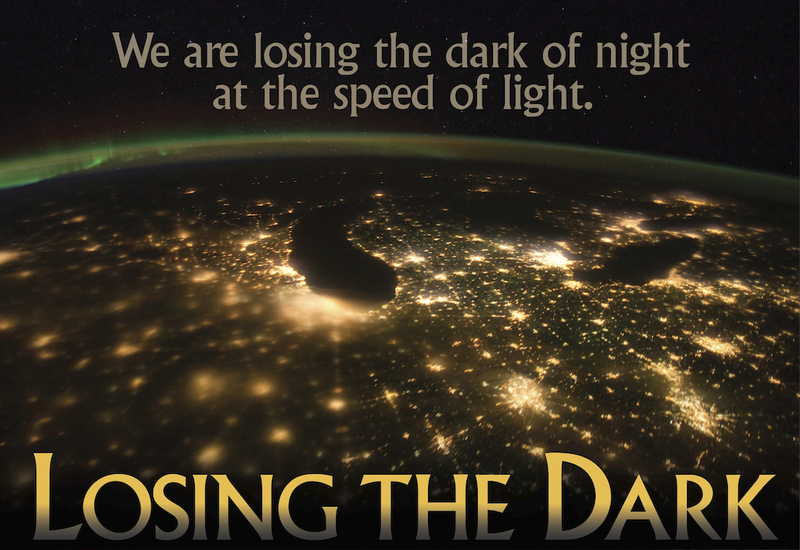 Founded in 1988, IDA is the first organization to call attention to the hazards of light pollution, and in 30 years of operation its accomplishments have been tremendous. 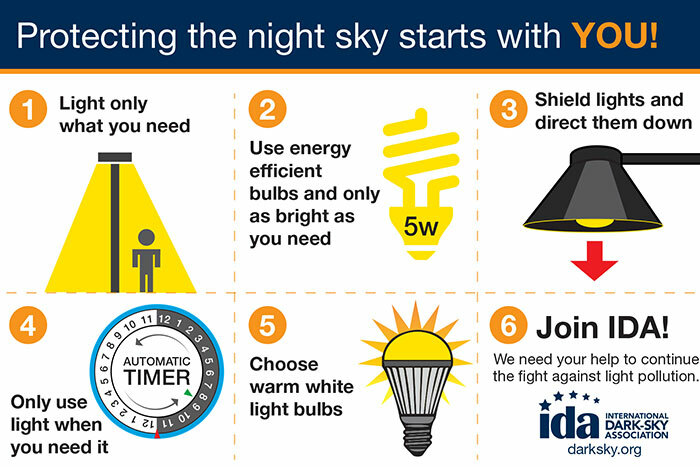 and lots of other light pollution information, visit the IDA website.